Vietnam Silver House at No. 68, Nghia Thuc street, District 5, is a nice venue for foreigners like Sayda, who are interested in silversmithing. 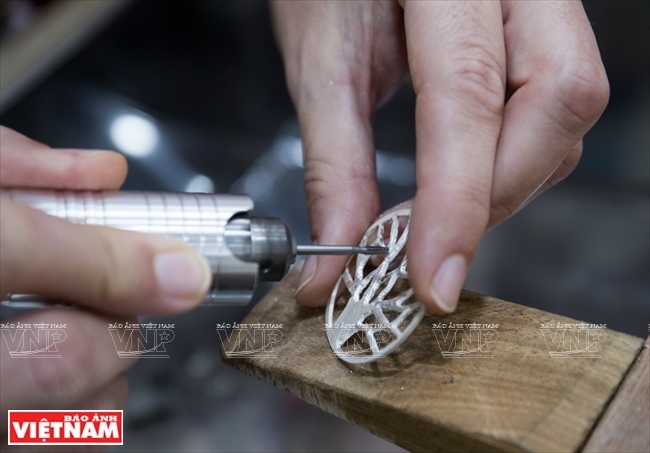 Originally a factory and a wholesale silver jewelry store in Saigon - Cho Lon, Vietnam Silver House was established in early 2018 to introduce the quintessence of silver-work in Vietnam to tourists and to bring the special culture of silversmithing closer to the daily life of Vietnamese. 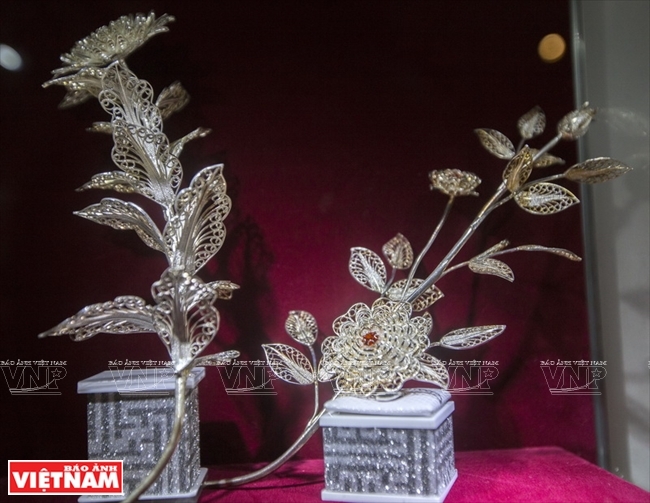 At the Vietnam Silver House showroom, visitors can learn about the history and development of the silver industry in Vietnam, famous traditional silver villages, and sophisticated silver handicrafts such as jewelry and household appliances. They can also watch a documentary on the jewelry making process in the documentary movie room. 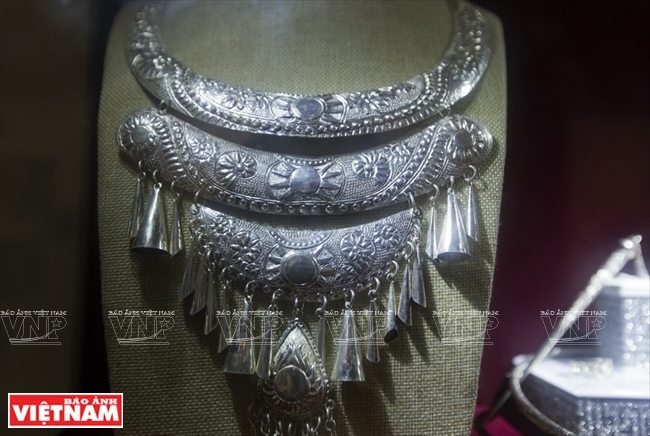 Foreign visitors make silver products with the help of the Vietnam Silver House artisans. how to work with silver. It may take two or three days to make a satisfactory product. 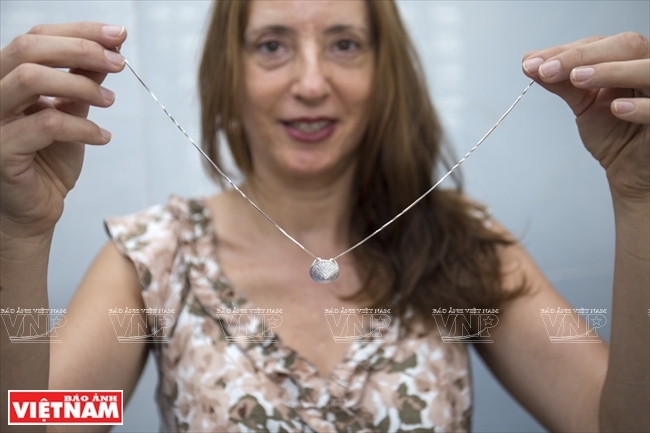 It takes two days for Amparo from Spain to make her necklace at Vietnam Silver House. A visitor takes photos of simple silver making tools. In the workshop, visitors can see how silversmiths work, from simple to complicated techniques such as laminating, filing, polishing and welding. 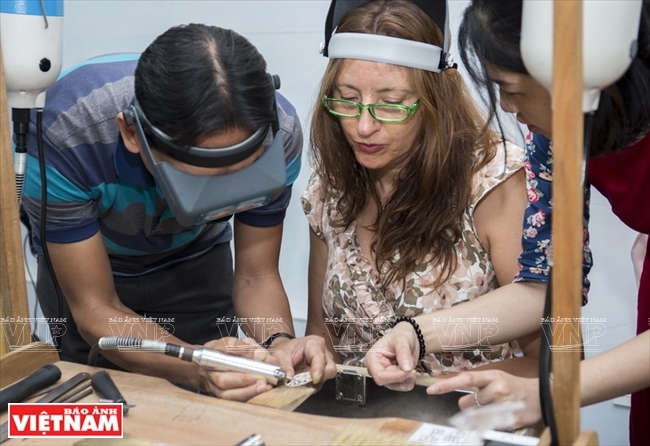 They can also make silver jewelry in a 90-minute class which costs 250,000 dong (nearly 11 US dollars) per person, including materials to make a silver ring. 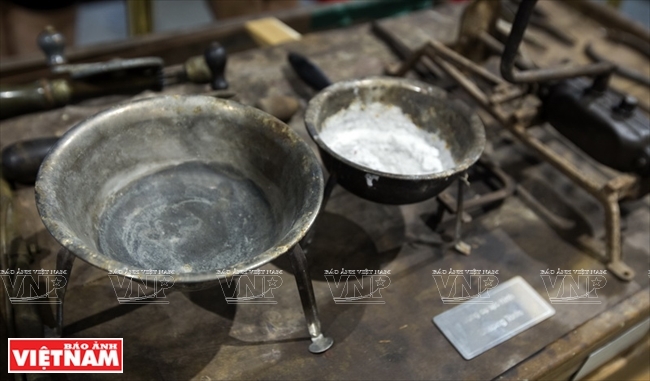 In a room about 60 m2 large, we saw many foreigners busily using the tools to laminate silver, the first stage of the silver making process. 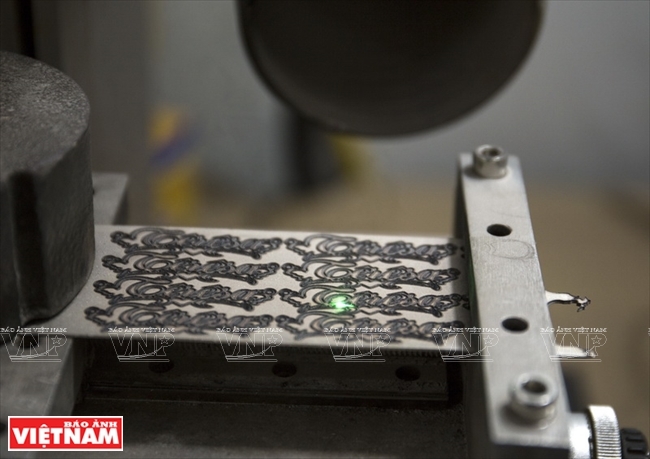 The next stages involve filing, welding, creating patterns, polishing and finalizing products, which require focus and skill. “A careless moment while using the hammer might turn the shape of a ring from round into oval”, said Maria from Spain. “This meant we had to ask for help from the instructor to bring it back to the original shape”, she said. Wearing a simple silver ring and bracelet, Sayda Flozer proudly told us she made them in two classes. She felt that it was wonderful to own jewelry made by herself. Sayda was fond of the class because it created curiosity, pleasure and excitement for learners. 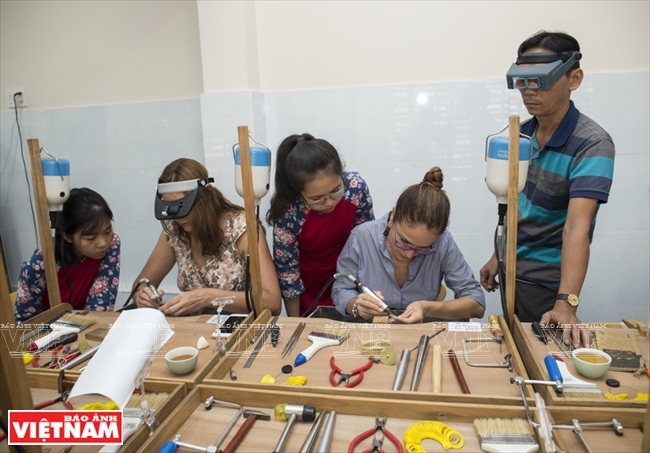 “It normally takes an hour for a learner to create a simple ring, and at most an hour and a half for a clumsy person”, said artisan Nguyen Ngoc Phu. Phu’s classes attract a lot of foreigners, including children, mostly from the West, including France, Spain and the US. 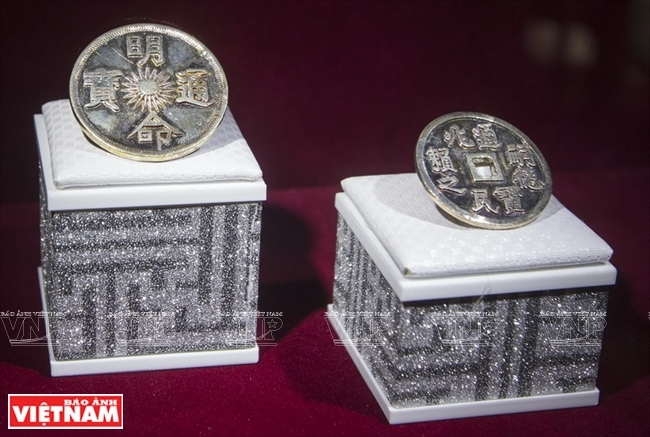 Silver coins from the Nguyen dynasty. 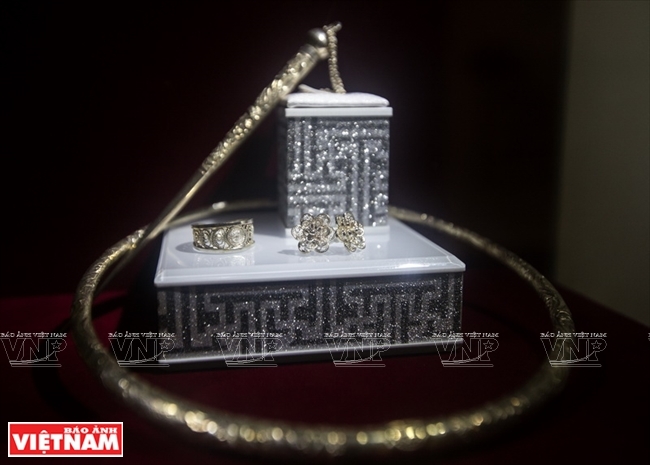 Earrings, a ring, necklace and brooch of Vietnamese women from the past. 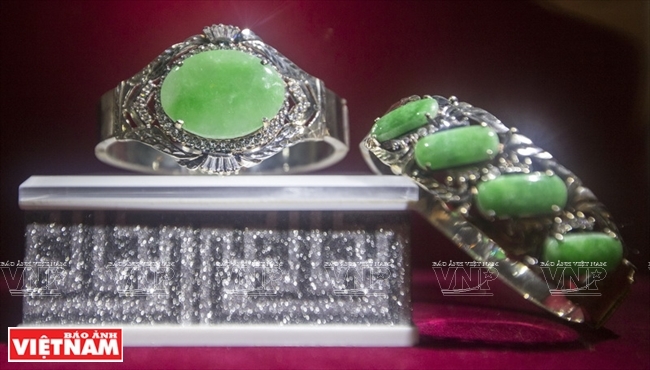 Silver bracelets with marble, typical jewelry from 1980-1990 in Saigon. 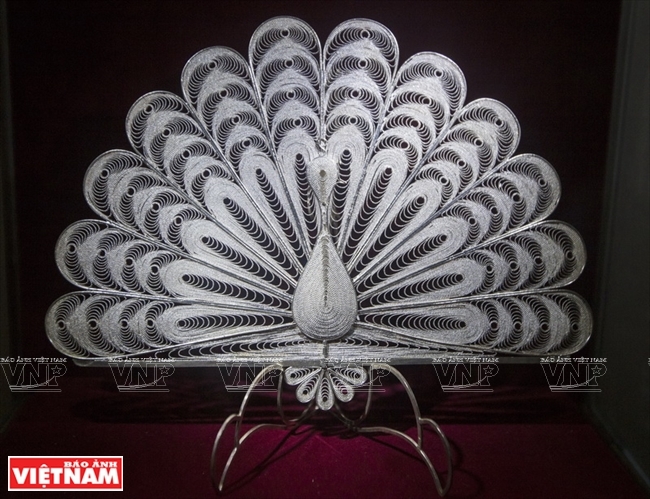 Peacock, a product from Dinh Cong silver craft village in Hanoi. 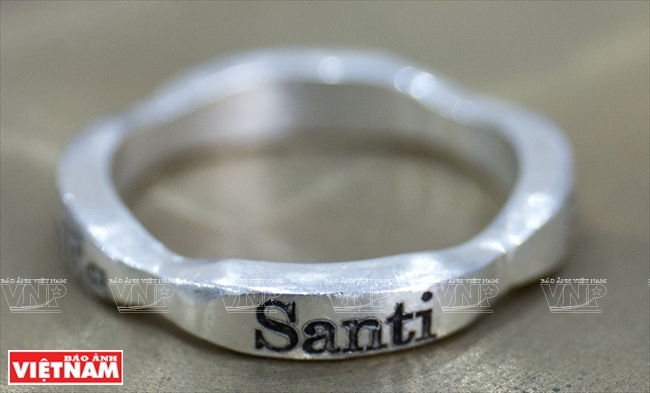 A ring made by a visitor engraved with their name. 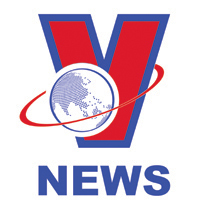 Vietnam Silver House General Director Le Quoc Thanh said his company wants to build a unique rendezvous for silver lovers in Vietnam. 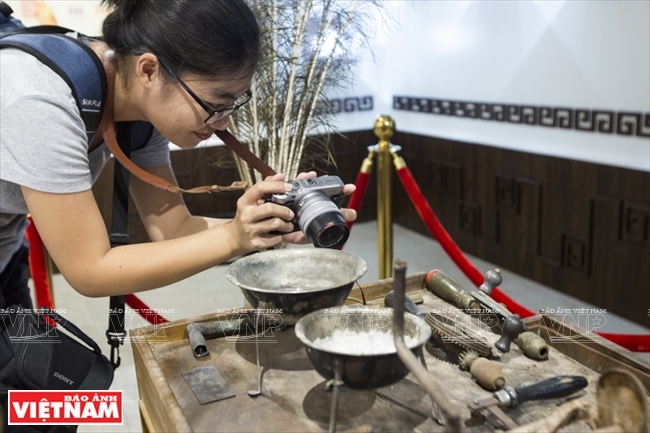 With the slogan “Visiting Vietnam Silver House to learn about silver making”, Vietnam Silver House is expected to become a quality private silversmithing museum and a must-go to destination for tourists in Ho Chi Minh City./.